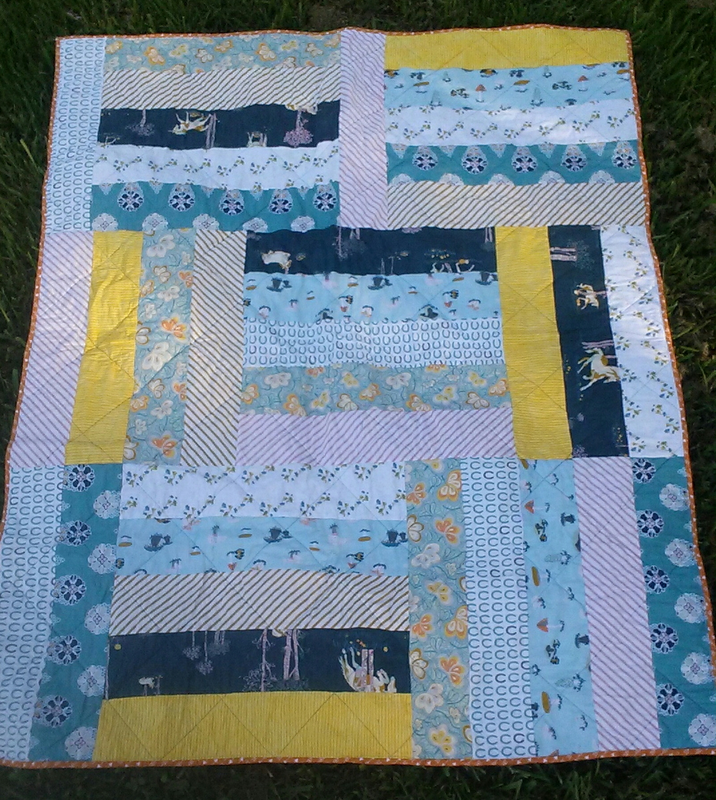 I made the free Strip Tango quilt as a baby quilt for a friend of mine. 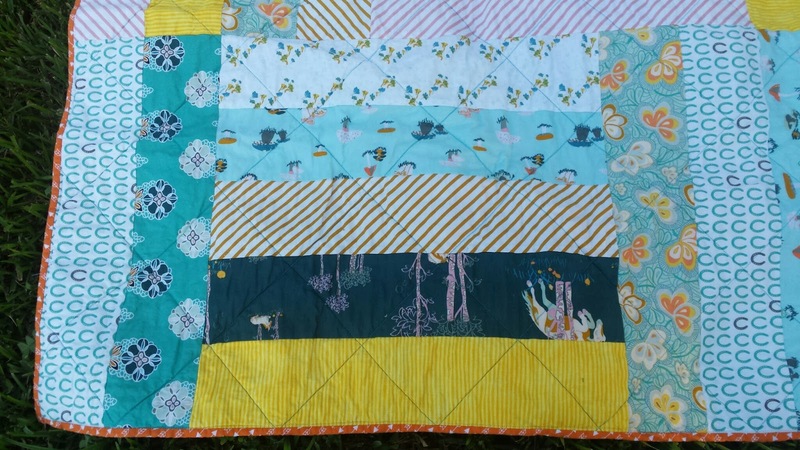 In theory it was a quick and easy quilt to make, except I always trip myself up on easy stuff and wound up having to order more fabric from cutting it wrong and having to delay the work. Once I finally got it cut out correctly, it was a pretty easy sew. I used fat quarters from Fantasia Crepuscular by Sara Lawson for Art Gallery. The binding was a pretty orange with tiny white arrows I found at Joann. It was a very nice quality. 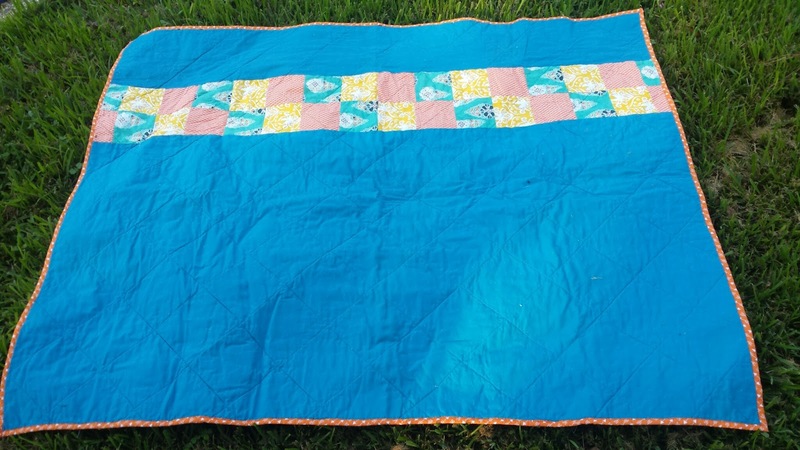 You may be able to make out a 5" grid pattern I made in blue to quilt it all together. 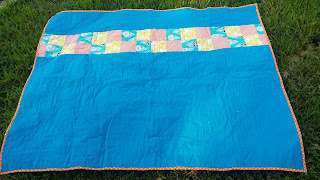 I used a nice bright blue and pieced together all the fabrics I screwed up to create a backing. I actually really like how the back turned out. This pattern was great, the only problems I had were me being careless. It would be a nice quilt for a beginner. I may make a few quilts to put on Etsy, and see how I do. I love making them, but at some point you really don't need anymore quilts. Your friends probably don't either come to think of it! I'll keep you posted on that. So pretty Stacie... How are you doing? Hope all is well, with you and baby. 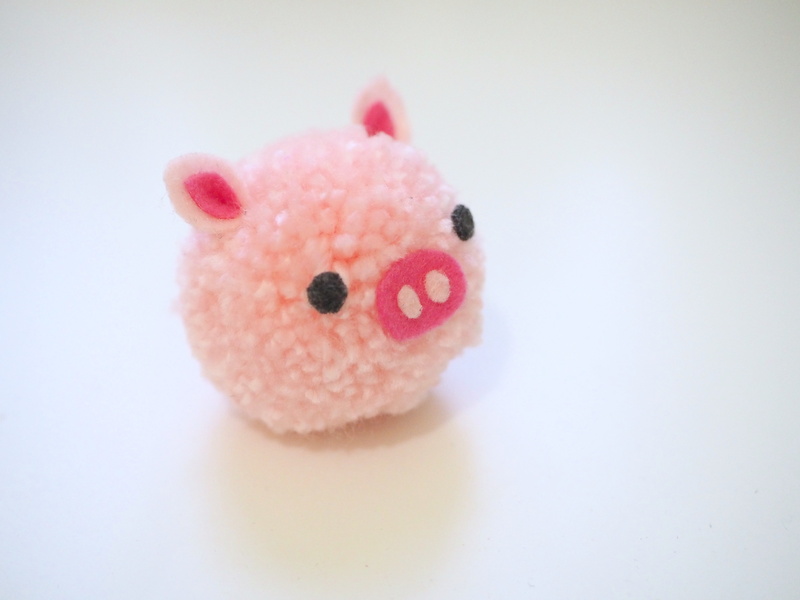 Oh, it looks so cute! I love the colours.